Dante™ entrance mats are made with a densely tufted cut-pile Decalon® construction that is a step above the look-alikes and provides much greater moisture retention. 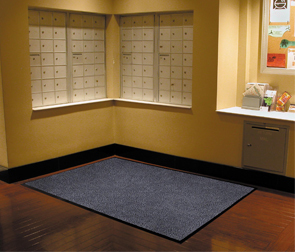 Overall matting thickness is 3/8" and 24 ounces of tufted yarn per square yard make it the perfect product for all medium traffic areas including entrances and lobbies. A vinyl non-slip backing helps to minimize mat movement.